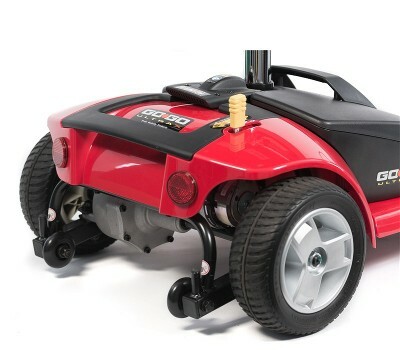 The Pride Go-Go Ultra X 3 Wheel Scooter easily disassembles and reassembles in just minutes making it highly portable and no need for special lifts to transport it it from one location to the next. 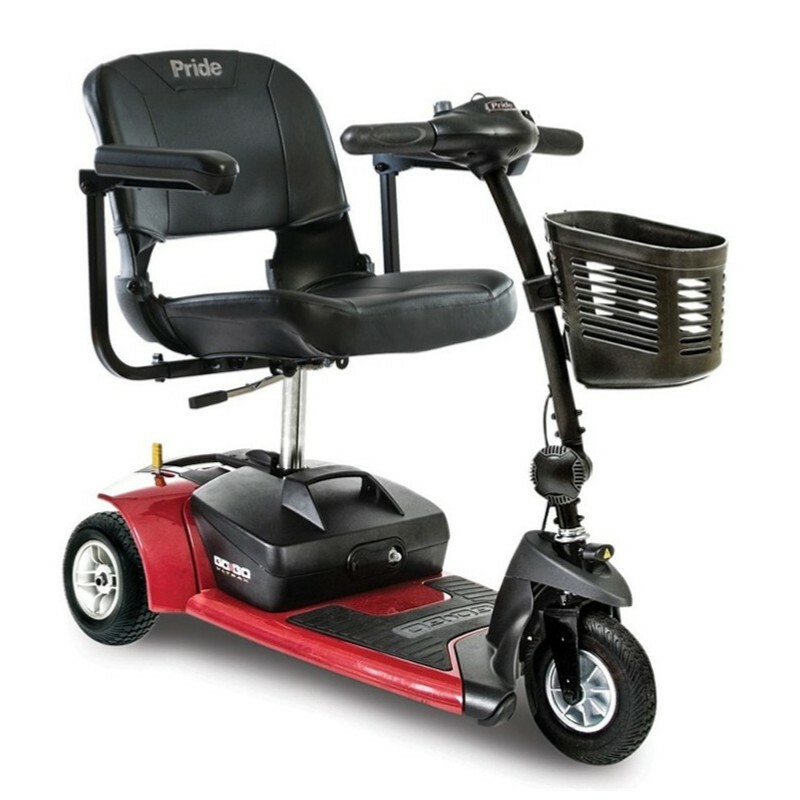 The Dual Rear Posi-Traction and Anti Tip Wheels gives you the ability and confidence to go wherever you would like to go. 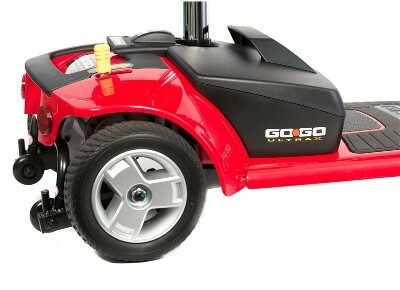 The Go-Go Ultra X 3-Wheel is so small and compact that it turns on a dime, and lightweight components make it easy to handle. It comes apart in 5 pieces, the heaviest piece weighs only 28 lbs. 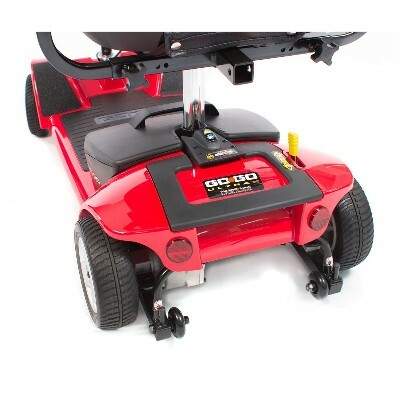 The budget minded price of this scooter combined with Pride’s excellent service and warranties are a combination that can't be beat. 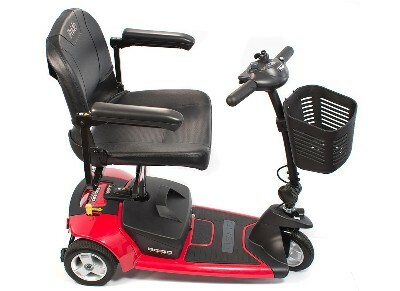 Emergency Free Wheel or neutral leaver allows you to push the scooter manually. 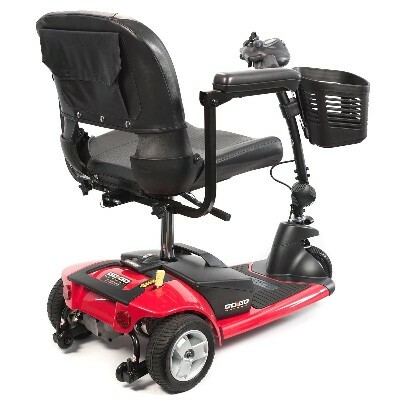 The Go-Go Ultra X comes standard with a highly adjustable and comfortable seat with easy adjusting arm rest allowing the user to obtain that perfect fit. 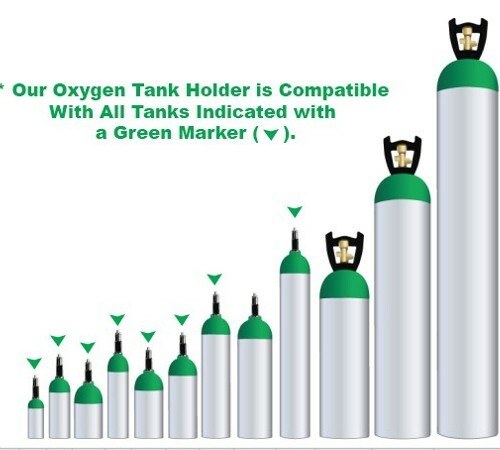 High quality & first class features. With a 260 lb. weight capacity, a maximum speed up to 4 mph, a per charge range up to 6.9 miles on the 3 wheel and 7.2 miles on the 4-wheel, Go-Go Ultra X is an exceptional portable mobility scooter. 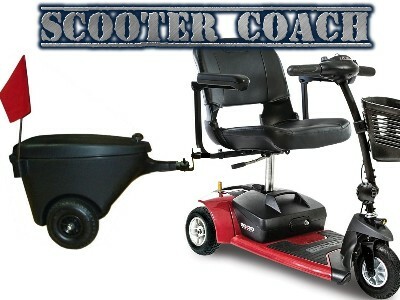 The Patented Locking Scooter Coach is now available for the GoGo Ultra X 3 Wheel Scooter. The Scooter Coach is a water proof trailer that allows you ten times the capacity to bring things along with you that you would normally leave behind as ell as a piece of mind knowing your items are under lock and key. The Scooter Coach not only can serve a safe locking cargo, it can also serve as a ice cooler to keep food and drinks cold as it is completely water tight and water proof with a weight capacity of 500 pounds.